Discussion in 'Map Guidelines' started by Build Team, Oct 16, 2018. Before even considering to attempt to create a Nano Games Map, please make sure you have played the game. Some of these concepts really only make sense if you've played a lot of the game. 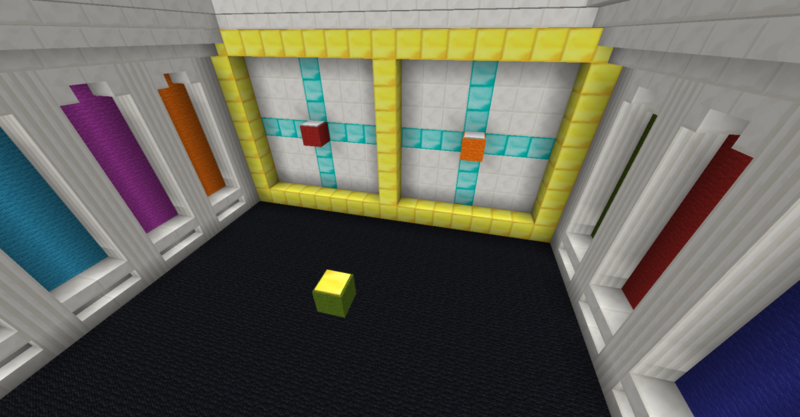 The best way to make the best maps for minigames, it to start by playing a lot of the game first. At least 24 GREEN spawn locations. A lot of RED data points which represent a possible location the platform could spawn at. 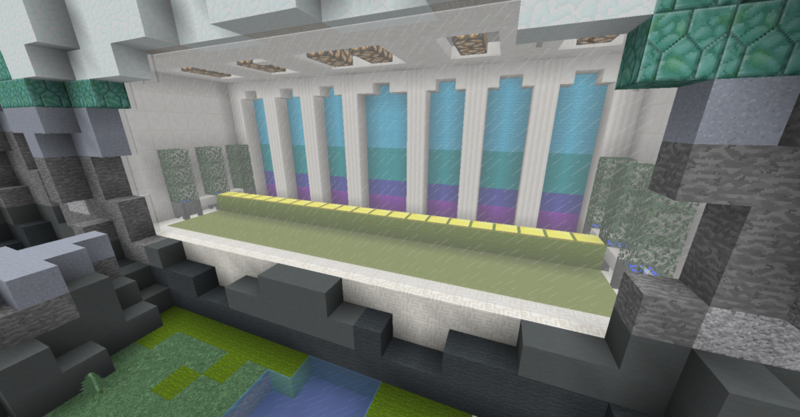 The map border points should encapsulate the build tightly. 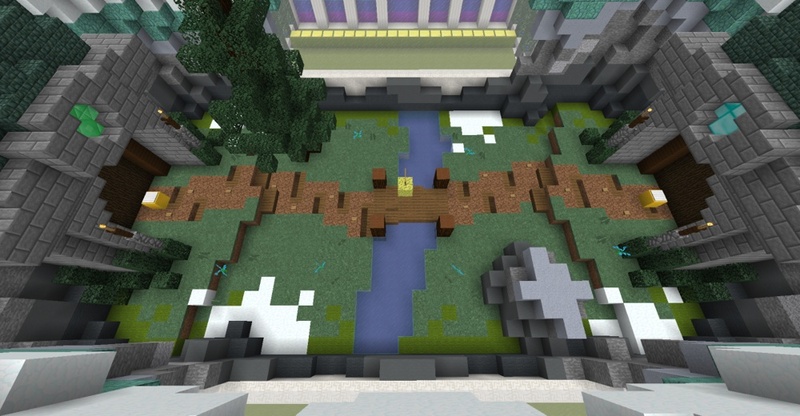 This area is then copied for each player in the game. A lot of LIME data points which represent a possible location a chicken could spawn above. 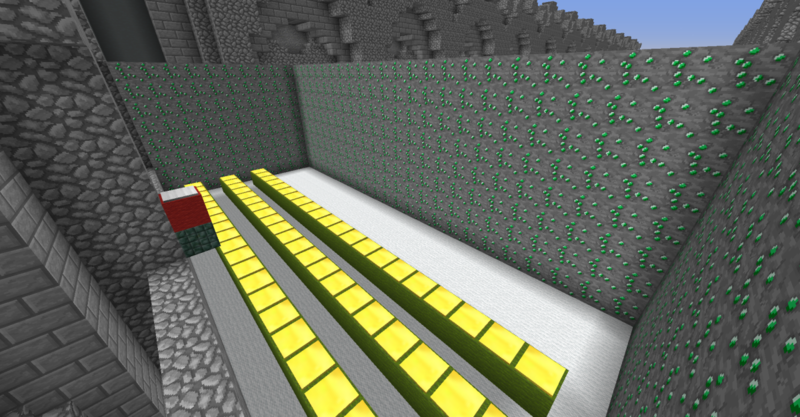 Chickens spawn 13 blocks above the green data points. The goal should be water. You may use slime but bear in mind this will effect the end data point. Is a player below this point? Is the player still alive (hasn’t hit the ground and died in that time)? 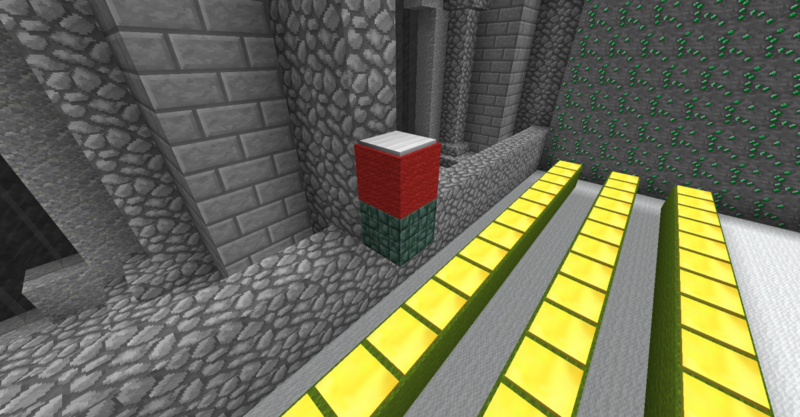 2 YELLOW data points should be placed one block outside at the opposite corners of the mining area. 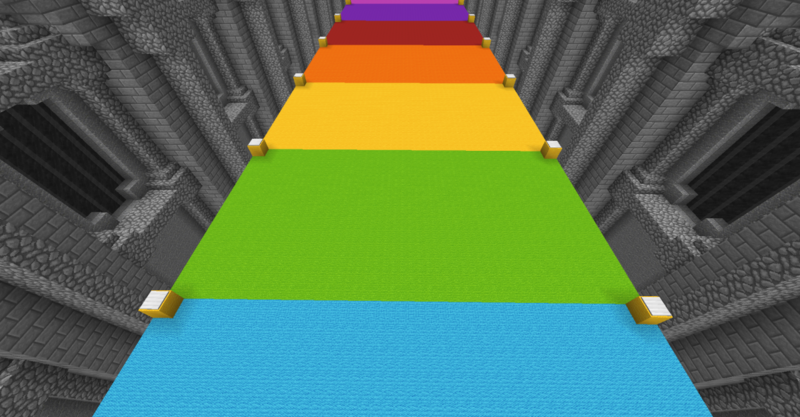 Walls should be solid and at least 2 blocks in height, no 1 block thick walls! MineKart has 2 types of checkpoints, REGULAR and KEY. Checkpoints are defined using sponge data points (see example 3). With line one being “CP”, line two being the index of the checkpoint, and line three being whether or not it is a key checkpoint. “K” for key checkpoints, “” for regular checkpoints. Two data points are needed for each checkpoint (see example 4), these then form a box. When a kart goes into this box it counts as going through that checkpoint. The box should always been at least 2 BLOCKS WIDE on the x and z axis. When deciding where to place the key checkpoints, you must remember that the player has to hit all of them in order, so if your track splits or has a shortcut, you must make sure that the player would not miss a key checkpoint in doing so. For the example map shown below, 24 checkpoints were used, 5 of them being key checkpoints. 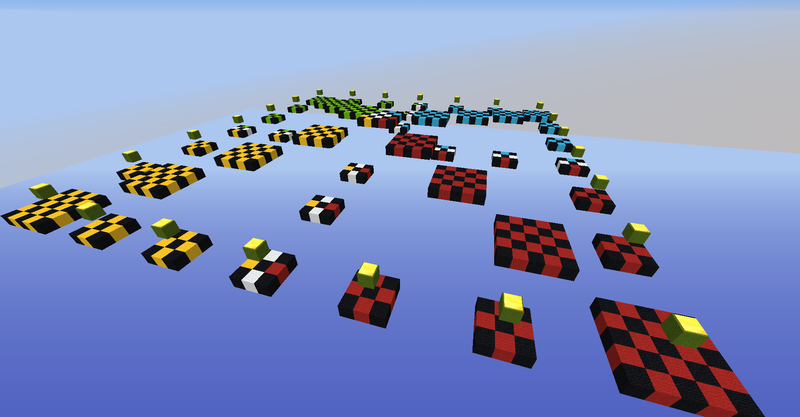 A 1 block thick platform that is exactly 31x31 blocks in size. 1 green and 1 red area outside of the map where the dead players go. Quick has a very complex setup of data points. Please do not place any, other than the map border points. 1 RED data point with the block that you have made floor out of under it. Around 300x25 in size, or there about. Doesn't have to be completely straight but can't curve back on itself. A pair of YELLOW data points representing where you want each wall. They have to be opposite eachother and no more than 1 block thick. See below for example. 1 LIME data point at the end of your map for the finish line. Around 25x50 in size, or there about. The map shouldn't be too small, or too big. 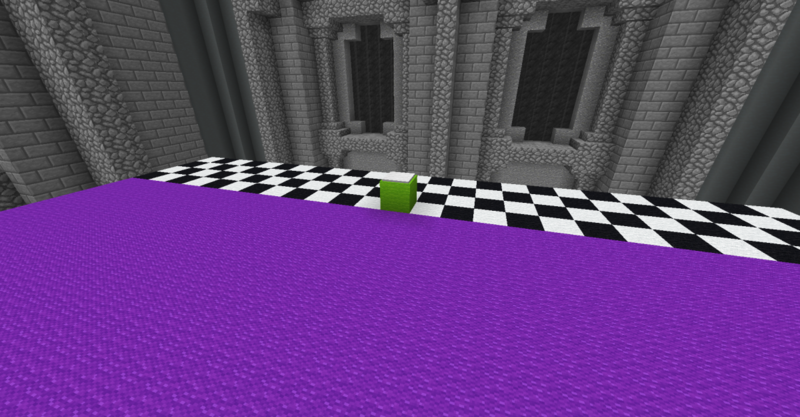 Make sure there are a few obstacles inside the arena to make for interesting gameplay and pvp. Your map needs viewing platforms where dead players will tp to watch until the battles commence! 2 YELLOW data points opposite ends of eachother represent spawns for the fights. At least 24 GREEN spawn locations evenly around the map. Tea, Barack0bama, OpticsVision and 13 others like this.